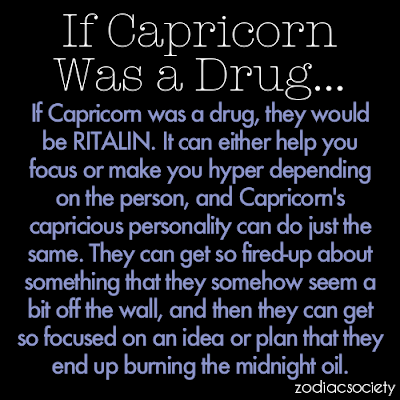 If Capricorn Was a Drug | Capricorn Life - Capricorns Rock! 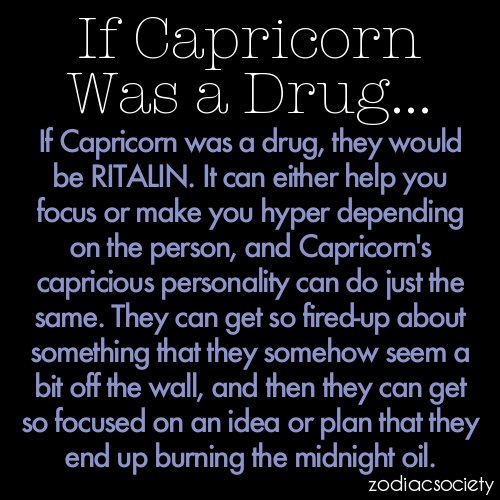 If Capricorn was a drug, they would be RITALIN. It can either help you focus or make you hyper depending on the person, and Capricorn's capricious personality can do just the same. They can get so fired-up about something that they somehow seem a bit off the wall, and then they can get so focused on an idea or plan that they end up burning the midnight oil.